Amazon’s Kindle Fire HD tablet was a big hit and it has been one the best Android tablet for so many people who are avid readers and really like to enjoy reading on tablets. 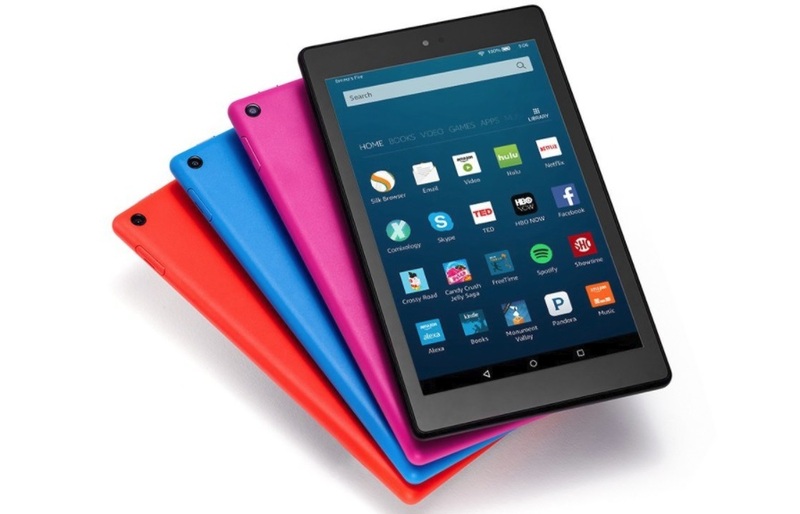 Now Amazon has launched two Amazon Fire 7 and Fire HD 8 affordable tablets in Canada. Both these tablets are up for sale in Canada starting today, December 7. The Fire 7 will cost you about $59.99 CAD, it features a 7-inch 1024 x 600 IPS display, a battery with 8 hours of battery life, it comes with 8GB of internal storage that’s expandable up to 256GB with a microSD card. On the other hand, The Fire HD 8 will cost you $99.99 CAD, it sports an 8-inch 1280 x 800 HD display, a battery with up to 12 hours of battery life, and 16GB of storage internal that’s also expandable up to 256GB. Both the Fire 7 and Fire HD 8 come with a 1.3GHz quad-core processor, VGA front-facing camera and 2MP rear shooter, dual-band Wi-Fi, and access to all of Amazon’s many services.